I saw some folks in GCR (Greater China Region) doing a review on 8420 Street Bike recently, that reminded me of this old set which I got quite sometime ago. With a engine, gearing system, and suspension mechanism, plus many parts (such as the two big wheels) which are not available else where, it is a great set with great playability. Somehow I sense that this item has been quite hot in mainland China, but I do not see many talking about it here in Hong Kong, the price has reached around USD 90 already here, not much more costly than bricklink price. This red Lego 8420 Street Bike in my opinion is one of the best set of Bike (or may be one of the best Technic Set) ever made by Lego. 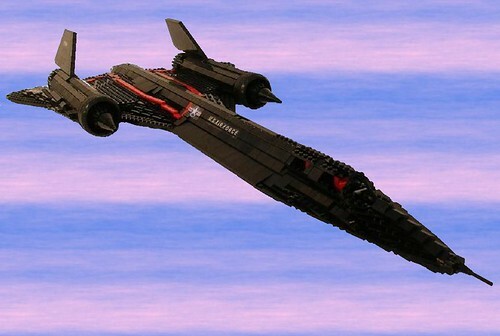 As expected, I do observe some unplesant exhanges regarding the Lego Ambassadors annoucements, but strangely, it was someone who did not make it who become the target of attack, I find such attack unreasonable and nasty, it triggered a lot of bad talks in the forum. As someone who had worked on community programs before, I fully understand that there are always risks that things like this would happen, but fortunately for Lego, the fans involved are very loyal and would not question Lego for mishandling. But it is quite interesting to me on how the ambassador for that particular geography is selected, coz it is funny that the new assignment of an ambassador have just triggered a war. Music plays an important part in most of our lives, I would not consider myself a Fan, but I truly respect those great artists whose sounds and moves once touched our hearts, especially during some of the most frustrated moments. Like a competition, people from different groups in a particular geography who sought to become a Lego Ambassador will feel differently as the result is announced, there will be joy and disappointment, while I believe that all the ambassadors definitely deserve the honor, there must be folks who also deserve such honor but have not gotten it this time. I have known some good people whom I feel have made significant contribution to the Lego community, compared to them, I feel like a very small potato. I had worked on a community building role before (for the Hong Kong subsidiary of a big company, bigger than Lego I think), the hard thing was that there were always more people who deserved recognition than the resources that could be made available to make such recognition possible, the only good thing was that with proper recognition beyond the official ones, the community would still grow harmoniously. I hope the same recognitions will go to all those who shared their passion for Lego everywhere, in one form or the other. 1. Parts Supply: Local shops usually may not have rich varieties of parts, and ordering from Bricklink etc can be costly due to shipping costs. 2. 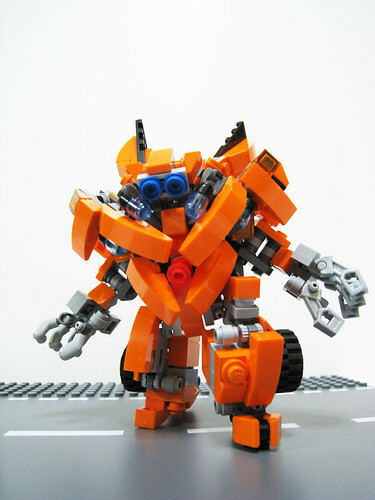 Family Support: Unfortunately, in many Asian Families, there seems to be misconception that Lego are for Kids only, so it is hard to get support from family, I guess the concept of AFOL is more mature in US and Europe. Hong Kong's situation on parts supply is not that bad though may still get people frustrated at times, but Family Support and free time would definitely be big issues, and we have another super big challenge - Space! With the high real estate price, it is really hard to find space to build lego, not to mention the needed space for keeping them. Congratulations to all the ambassadors, I guess many of them overcome a lot of challenges to achieve that. Does Lego have a strategy in how to distribute the parts into bags? It has always been an interesting thing in my mind, how come the parts of minifigs are always packed into the different bags in a lego set? May be there are already a lot of discussion on this, but let me talk about my observations. Why are the parts contained in 4 different bags instead of 1? Is it a way to discourage people from re-selling some portion of a set in a "unopened" form? Here in Hong Kong it is common for people to resell the vehicle and keep the minifigs, it is especially common for the recent Star Wars set, where people has little interest in the vehicles. And "unopened bags" can be sold at better prices as it is a sure indicator of being "New". I wonder if this is also something happening in other parts of the world, do people in US and Europe trade this way? By the way, I am not a "minifigs only" guy, I think the power of Lego lies also in bricks and MOCs, I love to keep and collect vehicles. Lego keep coming up with new minifigs and along with them new vehicles, 7753 Pirate Tank gives us 2 new lego minifigs: Hondo Ohnaka and Turk Falso (sorry, I actually get to know them only by now), Obi-Wan Kenobi is not new, but nice to have if you haven't got him already. At around USD 50 in Hong Kong, I would still consider this a good buy, with 372 pieces including 3 minifigs (2 new and rare ones), again, the value would be determined by the quality of the vehicle. And for this one, I would give it a thumbs up. The vehicle is not looking great actually, and honestly I haven't seen it in the Star War movie or TV series before, just did some research on the web and gradually knowing more about these pirate guys and their tank, but I found the design quite interesting, specifically the rising seat, but together with the minifigs the whole thing suddenly makes sense, a guy holding two guns appearing from the vehicle and starting combat action! Aside from the rising seat, the firing missiles at the back is just a small thing, but the missile firing mechanism at the front seems quite new to me (pushing a plate), the wings at the front are not very stable but the rest are fine, I also enjoy building the wings at back, as they are solid and well designed, and the vehicles happens to have wheels too, well, I almost forgot, it is a tank and not a plane. The wheels, well, without seeing this, I almost forgot that I was building a "Tank"
Anyway, overall I would strongly recommend getting this set, after all, it is not expensive, why miss it? The fully completed Lego 7753 Pirate Tank! I am proud to see these great work from a fellow lego player in Hong Kong, IcedPlusCoffee (John Ho) created this pair of transformers duo - Mudflap and Skids! What a time to refresh us with something beyond the Hasbro toys. Need to say more? 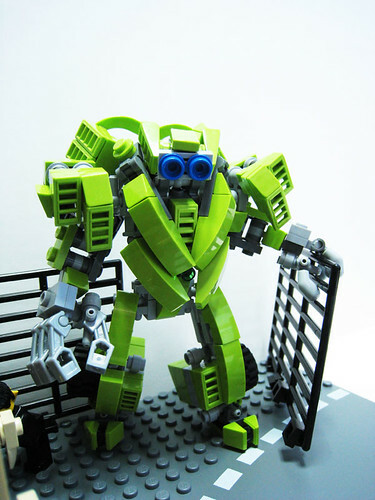 Please visit John's photostream at Flickr for more of his amazing robotic creations!